Today the ACLU blamed the carnage on the “Christian right.” Everyone has an opinion as to who is to blame about what should be done. Even the Council on American-Islamic Relations (CAIR) is calling for more “gun control.” Surely, you don’t expect them to accept any blame for what transpired at The Pulse, do you? Folks, there are EVIL people of all stripes in this world. No amount of laws will tame them. I’m sorry that there are people in this world who believe the opposite is actually the truth. That’s embarrassing for them because they actually count themselves as having a certain semblance of intelligence that people like me allegedly don’t have. I am deeply saddened that this tragedy occurred. I cannot imagine how terrifying it must have been for those who saw death coming. It bothers me as well that politicians and others are blaming guns as if guns are the issue and have a mind of their own. They ignore the fact that bombs made from fertilizer and other chemicals were used in past atrocities. Yet, people without critical thinking skills today will agree that more gun control will solve the problem. Apparently these folks have never heard of suicide bombers. 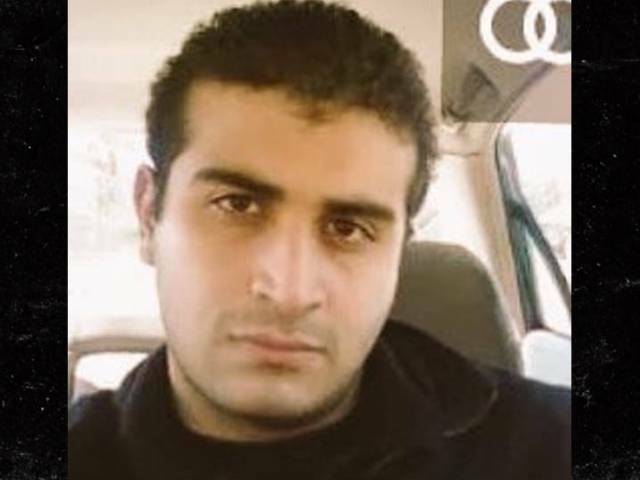 People like this radical Muslim – Omar Mateen – who want to kill people will find a way to do it. If guns are hard to come by, homemade bombs are available. The reality is that there are several things in play here with this most recent tragedy that occurred at a gay nightclub called “The Pulse.” Let me list these realities – facts as they are otherwise known – for you so that we’re clear. In general, people are deluded into thinking that more laws, more control freely given over to the government will alleviate crime, hatred, and all manner of evil in society. That is simply not true. As I said above, there are people who have given themselves completely over to the evil in the world. They serve it and in turn, the evil they serve makes them even more evil. Isn’t that what Paul says in 2 Timothy 3:13, pointing out that evil men will “wax worse and worse“? But of course, the evil that we see in people like the shooter in Orlando is not the only type of evil. There exists another evil and that is the evil perpetrated by our elected officials who either turn a blind eye to the real reason these tragedies occur or do what they can to use those situations to remove freedoms from law-abiding citizens, or both. Let’s be clear on that. The evil is not just seen in the person who does the actual wicked deed. It is also in the ones who allow it to continue by providing excuses for that individual and I’ve listed many of those excuses being proffered above. This is all another push by elected officials to do the bidding of the Elite, who ultimately work for Satan himself. Satan is pushing this world toward a totalitarian regime, to be headed by his spiritual son, Antichrist. In order for that to happen, Satan must have as much control as possible. Without that control, he will not ascend to his throne as world ruler for the final seven years of humanity’s history before Jesus physically returns. If this is where the Bible says we’re heading, it is clear then – or should be – that God is allowing these horrific actions so that Satan can put into place the kingdom over which he will rule. You’ll recall from Isaiah 14 that he promised himself one day he would be “like the Most High” (Isaiah 14:14). He’s been working on it since and God has allowed it. But back to our situation. What does this mean for us as Christians? As of right now, in spite of the federal ruling out west over nine states including California, that can give authorities what they need to prohibit people from having concealed weapons permits, we still have the 2nd Amendment, tattered though it may be from all the infringement that it has undergone. This of course, has been in spite of the very words within that amendment, which were supposed to prohibit any form of infringement. But what now? Where will we go from here? Very likely, there will be more anti-gun legislation taking shape. President Obama will also likely use his pen to create more executive orders. Those who wrongly believe that more laws will result in fewer gun-related crimes and shootings will applaud any and all efforts by the president and Congress. If Hillary us elected, we can be assured of more gun control measures taking place. Eventually, there will probably come a day when concealed weapons permits will be outlawed throughout the United States. As a Christian, what should you do if that happens? Clearly, you should obey the law and turn in your concealed weapons permit. In fact, they will all simply expire and there will be no opportunity to renew if laws prohibiting them go through. It’ll take a while, but it will likely happen. What about the worst case scenario? What if guns are to be eventually made illegal to own and collected throughout society? A precarious situation to be sure and one that will cause a great deal of problems in society, but in the end, if a law is passed that makes it illegal to own a gun, then Christians must obey the law. Do I agree with that law, if it should come to pass? No, I don’t. But we’ve been going over Romans 13 where it certainly seems clear enough that Paul commands us to submit ourselves to those who have authority over us. The only reason not to do that is when leaders forbids us from preaching the gospel (Acts 4). Peter could not obey this directive and didn’t. But this was the only situation where Peter believed he could disregard the “laws” of man. Why are so many Christians seemingly afraid to die? Why so many Christians believe they have to “fight” or work hard to help God gain and/or maintain His sovereignty? What should the Christian’s response be in case of the worst case scenario? I’ll leave you with this question: who has control over your life? Entry filed under: Agenda 21, christianity, Cultural Marxism, Emotional virtue, eternity, Global Elite, Gun Control, ISIS, Islam, Islamofascism, Political Correctness, Politically Correct, Politics, Radical Islam, Religious - Christian - End Times, Religious - Christian - Prophecy, Religious - Christian - Theology, salvation, second coming. Tags: ACLU, CAIR, christian right, gay night club, homosexuality, isis, islam, Omar Mateen, orlando the pulse tragedy, sharia law, The Pulse. Is New World Order Just a Conspiracy Theory? Who Has Control Over Your Life Anyway? I guess pederasty is not a homosexual act in the Muslim community. I am confused or are they?